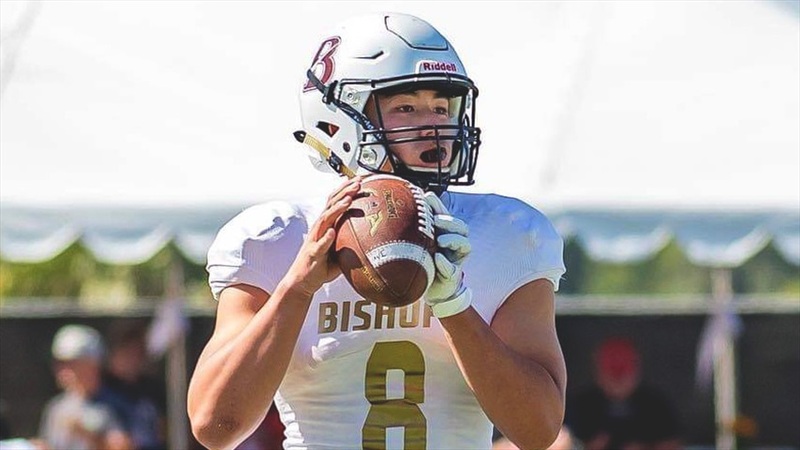 2021 quarterback Tyler Buchner‍ was supposed to take the nation by storm in 2018. 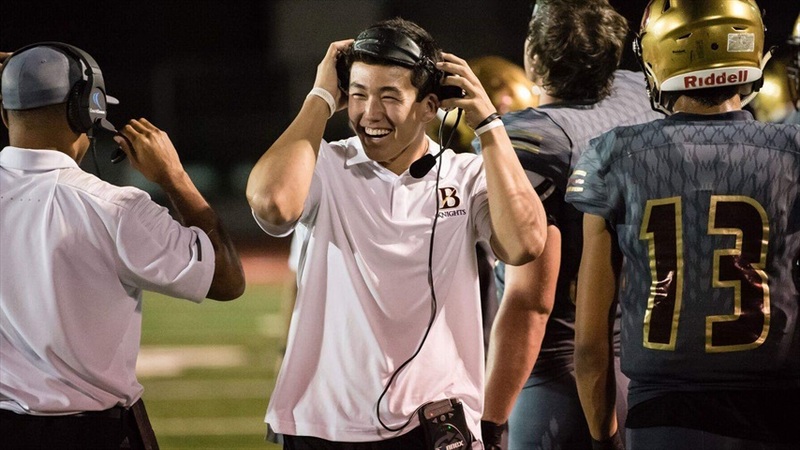 The Bishop’s School star had blown up on the camp circuit as he earned offers from programs like Notre Dame, Alabama, Arizona, Arizona State, Georgia, Michigan, Oregon, UCLA, USC, Utah, Washington State and Yale. However, the 6-foot-2, 200-pounder saw his season tragically end before it ever really got started as he tore his ACL in the first game of the season. Buchner showed up in South Bend to see Notre Dame beat Stanford in September and was already walking following surgery. Fast forward to January and the La Jolla (Calif.) native continues to be ahead of schedule. It’s not secret Buchner has an explosive arm, but Mitchell doesn’t think his arm is his greatest strength after seeing him play over the last two seasons. “His greatest attribute, which I think is very underplayed because of how athletic he is, would be his mind,” explained Mitchell. “He’s not a kid. I’ve gotten to coach college football and professional football. He reminds me of those type of guys because he’s so far ahead of guys his age. While his mind separates him from his peers, Buchner’s athleticism also puts him at the top of his class. In fact, Buchner was a one-time commitment to Michigan to play lacrosse. “He’s extremely athletic,” Mitchell stated. “He’s the best athlete on the field. Tyler was our kick returner and played receiver as a freshman. We had the No. 1 passer all-time in San Diego his freshman year, Jeffrey Jackson, so Tyler rotated with him at quarterback. Buchner’s athleticism and mind, unfortunately, led him to his freak injury this season, which was a non-contact injury and he wasn’t even playing quarterback. His father, Todd, was a punter in college, so naturally, Buchner handled punting duties for his high school and Mitchell saw everything you want in a prospect happen on the play that led to his injury. “The first series of the game, we were punting,” recalled Mitchell. “They set up a return so we were in a spread punt and three guys rushed. He caught it, saw no one was there and took off running. It wasn’t called at all and he broke away. He was 40 yards downfield but as he cut, his knee buckled on him. As mentioned, Buchner has attacked his rehab and it’s come naturally for him. There isn’t a prospect in the country who wants to be in his situation, but Buchner has used it for personal growth. 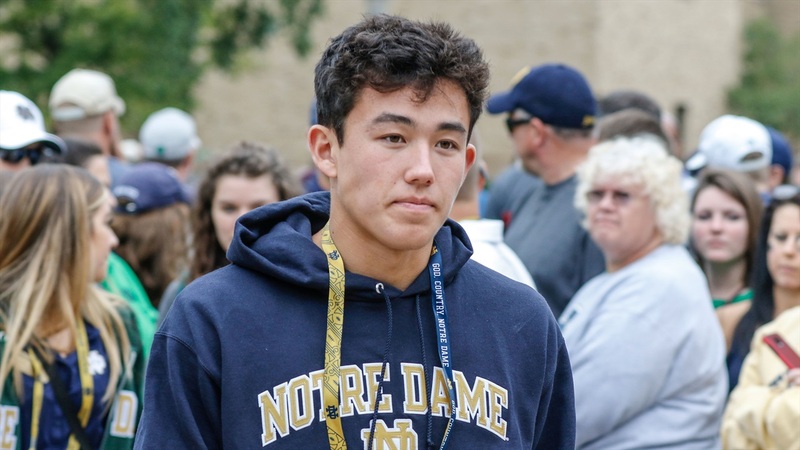 At Notre Dame’s Elite Skills Camp, Buchner at times showed a little frustration with his receivers, who weren’t as talented. Buchner has worked on showing a lack of negative emotion over the last few months. “Tyler is a really competitive kid,” explained Mitchell. “When he went to the camp, he was still a freshman. I think you saw at times he was 15 at the time. That’s the thing about playing the quarterback position. Frustration can’t come out because the whole team is looking at him. “That was the biggest blow anything of not having him out there as a player but as the leader because the kids do rely on him. His biggest growth from him not playing this year was that aspect. He was on the sideline and Tyler had to be a leader because kids still looked to him. He wasn’t on the field, but as a captain, he was helping the team find a better way and finding the positives. Some prospects become arrogant and self-centered when they achieve the offer list Buchner has, but Mitchell believes his quarterback has remained the same kid despite the attention. “I would say he’s the exact opposite of anything you’d expect,” stated Mitchell “The kid is so humble. He downplays it. I don’t think you’d ever know how good he is unless you researched him or came and watched him. Mitchell admits his mother may be the best example of being able to explain Buchner’s team-first attitude. While Buchner didn’t get to show the nation why he’s so highly touted in 2018, Mitchell knows 2019 could be a special year in the San Diego area. “The biggest thing is just to see him play,” said Mitchell. “That’s something he’s excited about. He hasn’t really had a chance to be the guy. This year Tyler was our leader, but he played four plays. I think once he gets to showcase his talent, the other things will fall into line.